Abstract: Over present day remote interchanges those range will be allocated with settled authorized clients Also on the different side the amount of remote gadgets may be expanding quickly that need prompt range crunch. Concerning illustration the range will be precious it need to a chance to be used effectively. The result with relieve this issue will be “Spectrum Sharing”. A standout amongst those imaginative methodologies to remember and right those range gaps display in the authorized range may be ‘Cognitive radio (CR)’. Range sensing or offering will be An build to those execution about know works performed by those cognitive radio (CR). Issues identified with single cr identification are succeed Eventually Tom's perusing agreeable identification utilizing group leader from close-by hubs Previously, cognitive radio. Low vitality versatile grouping chain of importance (LEACH) may be a hierarchic protocol Previously, which The majority hubs transmit with group heads, and the bunch heads aggravator and compresses the information What's more ahead it of the build station (sink) which expands cognitive radio execution An non agreeable range sensing calculation might not worth of effort great with the goal agreeable range sensing (CSS) calculations Eventually Tom's perusing using multi-user assorted qualities determines with numerical outcomes it camwood be watched that Normal throughput will be attained through streamlining which bring been investigated through a normal throughput vs number from claiming helpful auxiliary clients for different combination lead. An radio which autonomously detects What's more exploits void range will expand your record exchange rate. Suppose this same radio Might recall those areas the place your calls have a tendency with drop Furthermore organize for your call on a chance to be overhauled by an alternate transporter for the individuals areas. These would exactly of the thoughts inspiring those advancement for cognitive radio by drain. Over effect, An cognitive radio will be a programming radio whose control procedures power situational learning and canny transforming with fill in towards accomplishing some objective identified with the necessities of the user, application, or system. Emerging from a legitimate advancement of the control techniques of a product radio, cognitive radio displays those likelihood about various revolutionary applications, first of which will be entrepreneurial range use. Giupponi, Ana I. Pérez-Neira. Fuzzy-based Spectrum Handoff in Cognitive radio network, Centre Tecnològic de Telecomunicacions de Catalunya(CTTC), Universitat Politècnica de Catalunya (UPC). Dong Li, Xianhua Dai, Han Zhang. Joint Adaptive Modulation and Power Control in Cognitive Radio Networks, School of Information and Scienc Technology, Sun Yat-Sen University Guangzhou 510275, P. R. China. Radio Networks with SINR Constraints, Department of Electronic and Computer Engineering The Hong Kong University of Science and Technology. Paul j kolodzy. Interference temperature: A metric for dynamic spectrum, March 2006,phD member, IEEE. Abstract: The purpose of the investigation was to determine the efficiency of the term “Total Quality management”, to define the principle of the quality concept and to test the effectiveness with in the print production industry. The research involves in-depth survey of quality management system, which was distributed to print production employees across the state. The aim of the survey was to collect data that was predominately qualitative. It inquired upon the utilization and effectiveness of quality management system, knowledge and usage of TQM principles with in the participant’s company. Using content analysis, the collected data was analysed and with the gathered information case studies were developed. The investigation result shows that the principle of TQM was widely executed in print production industry. In many of the print production industry employees not having the clear idea of TQM is, and the more successful industry tended to have a more solid knowledge and usage of TQM principles. These print production industries may benefit by taking time to fully understand TQM and use it to its fullest potential. Paige Cornelison, “The effectiveness of Total Quality Management Principle in the printing Industry”, Graphic Communication Department, California Polytechnic State university, 2013. Srividya B, Dr. Thirunavukkarasu, “Investigation the print quality of web offset colour prints on newsprint paper”, Asian Journal of Research in Social Science and Humanities, Volume 6 Number 11, pp.803-811, ISSN:2249-7315, 2016. Srividya B, Dr. Thirunavukkarasu, “Investigation of Quality Parameter for Newspaper Printing & Optimizing the Six Colour Coldset web offset machine to minimize the paper waste and to bring down Carbon Footprint through Process Optimization”, Asian Journal of Research in Social Science and Humanities, Volume 6 Number 8, pp. 936-947, ISSN: 2249-7315, 2016. Abstract: The flexible job shop problem is an important problem in modern manufacturing systems. It is known to be an NP-hard problem. The optimization of this problem can bring in considerable improvements in the manufacturing efficiency. In recent studies, it has attracted the attention of most researchers in this field. Several metaheuristic methods were proposed to solve this problem. These methods started with exact algorithms and later approximate methods, which include heuristic methods, evolutionary algorithms, swarm intelligence, local search and hybrid algorithms, were introduced to cope with the development and the growing scale of the flexible job shop problem. In this paper we explore the algorithms that are most commonly used to solve this problem. This paper also aims to evaluate and compare the performance of these algorithms. Keywords: Flexible Job Shop, Optimization Algorithms. Li, X. and L. Gao, An effective hybrid genetic algorithm and tabu search for flexible job shop scheduling problem. International Journal of Production Economics, 2016. 174: p. 93-110. Brucker, P. and R. Schlie, Job-shop scheduling with multi-purpose machines. Computing, 1990. 45(4): p. 369-375. Demir, Y. and S.K. İşleyen, Evaluation of mathematical models for flexible job-shop scheduling problems. Applied Mathematical Modelling, 2013. 37(3): p. 977-988. Pezzella, F., G. Morganti, and G. Ciaschetti, A genetic algorithm for the flexible job-shop scheduling problem. Computers & Operations Research, 2008. 35(10): p. 3202-3212. Taillard, E., Benchmarks for basic scheduling problems. european journal of operational research, 1993. 64(2): p. 278-285. Paulli, J., A hierarchical approach for the FMS scheduling problem. European Journal of Operational Research, 1995. 86(1): p. 32-42. Zhang, G., L. Gao, and Y. Shi, An effective genetic algorithm for the flexible job-shop scheduling problem. Expert Systems with Applications, 2011. 38(4): p. 3563-3573. Baykasoğlu, A. and L. Özbakır, Analyzing the effect of dispatching rules on the scheduling performance through grammar based flexible scheduling system. International Journal of Production Economics, 2010. 124(2): p. 369-381. Ingimundardottir, H. and T.P. Runarsson, Evolutionary learning of linear composite dispatching rules for scheduling, in Computational Intelligence. 2016, Springer. p. 49-62. Ying, K.-C., S.-W. Lin, and C.-C. Lu, Effective dynamic dispatching rule and constructive heuristic for solving single-machine scheduling problems with a common due window. International Journal of Production Research, 2017. 55(6): p. 1707-1719. Mei, Y. and M. Zhang. A comprehensive analysis on reusability of GP-evolved job shop dispatching rules. in Evolutionary Computation (CEC), 2016 IEEE Congress on. 2016. IEEE. Ɖurasević, M. and D. Jakobović, Comparison of ensemble learning methods for creating ensembles of dispatching rules for the unrelated machines environment. Genetic Programming and Evolvable Machines, 2017: p. 1-40. Huang, J. and G.A. Süer, A dispatching rule-based genetic algorithm for multi-objective job shop scheduling using fuzzy satisfaction levels. Computers & Industrial Engineering, 2015. 86: p. 29-42. Ho, N.B., J.C. Tay, and E.M.-K. Lai, An effective architecture for learning and evolving flexible job-shop schedules. European Journal of Operational Research, 2007. 179(2): p. 316-333. Peigen, Z.C.R.Y.L. and S. Xinyu, BILEVEL GENETIC ALGORITHM FOR THE FLEXIBLE JOB-SHOP SCHEDULING PROBLEM [J]. Chinese Journal of Mechanical Engineering, 2007. 4: p. 020. Peigen, Z.G.G.L.L. and Z. Chaoyong, Improved Genetic Algorithm for the Flexible Job-shop Scheduling Problem [J]. Journal of Mechanical Engineering, 2009. 7: p. 026. Demir, Y. and S.K. İşleyen, An effective genetic algorithm for flexible job-shop scheduling with overlapping in operations. International Journal of Production Research, 2014. 52(13): p. 3905-3921. Zhang, H.P. and M. Gen, Multistage-based genetic algorithm for flexible job-shop scheduling problem. Journal of Complexity International, 2005. 48: p. 409-425. Jia, H., et al., A modified genetic algorithm for distributed scheduling problems. Journal of Intelligent Manufacturing, 2003. 14(3): p. 351-362. Huang, M., W. Mingxu, and L. Xu. An improved genetic algorithm using opposition-based learning for flexible job-shop scheduling problem. in Cloud Computing and Internet of Things (CCIOT), 2016 2nd International Conference on. 2016. IEEE. Purnomo, M.R.A., A Knowledge-Based Genetic Algorithm for Solving Flexible Job Shop Scheduling Problem. International Business Management, 2016. 10(19): p. 4708-4712. Ishikawa, S., R. Kubota, and K. Horio, Effective hierarchical optimization by a hierarchical multi-space competitive genetic algorithm for the flexible job-shop scheduling problem. Expert systems with applications, 2015. 42(24): p. 9434-9440. Jorapur, V.S., et al., A promising initial population based genetic algorithm for job shop scheduling problem. Journal of Software Engineering and Applications, 2016. 9(05): p. 208. Rossi, A. and G. Dini, Flexible job-shop scheduling with routing flexibility and separable setup times using ant colony optimisation method. Robotics and Computer-Integrated Manufacturing, 2007. 23(5): p. 503-516. Zhang, R., S. Song, and C. Wu, A hybrid artificial bee colony algorithm for the job shop scheduling problem. International Journal of Production Economics, 2013. 141(1): p. 167-178. Wang, L., et al., An effective artificial bee colony algorithm for the flexible job-shop scheduling problem. The International Journal of Advanced Manufacturing Technology, 2012. 60(1): p. 303-315. Kacem, I., S. Hammadi, and P. Borne, Approach by localization and multiobjective evolutionary optimization for flexible job-shop scheduling problems. IEEE Transactions on Systems, Man, and Cybernetics, Part C (Applications and Reviews), 2002. 32(1): p. 1-13. Zhang, G., et al., An effective hybrid particle swarm optimization algorithm for multi-objective flexible job-shop scheduling problem. Computers & Industrial Engineering, 2009. 56(4): p. 1309-1318. Xing, L.-N., et al., A knowledge-based ant colony optimization for flexible job shop scheduling problems. Applied Soft Computing, 2010. 10(3): p. 888-896. Li, J.-Q., et al., A hybrid tabu search algorithm with an efficient neighborhood structure for the flexible job shop scheduling problem. The international journal of advanced manufacturing technology, 2011. 52(5-8): p. 683-697. Zhang, G., Y. Shi, and L. Gao. A genetic algorithm and tabu search for solving flexible job shop schedules. in Computational Intelligence and Design, 2008. ISCID'08. International Symposium on. 2008. IEEE. Abstract: A four-element planar UWB-MIMO antenna system with plus-sign stub (for achieving high isolation) is proposed here. The complete antenna system is constructed on 52mm x 52mm, FR-4 substrate (dielectric constant=4.3). The structure consists of 4 identical antenna elements, with each element placed orthogonal to its adjacent element on the top of the substrate. The partial ground plane with circular slots is utilized on the back of the substrate. The antenna is simulated using CST Microwave Studio. Simulated S11<-10dB, in the entire operating band (2.9 -12.9 GHz) and the isolation among the elements is observed to be less than -20 dB in most of the band. Maximum gain of 4.82dB is observed at center frequency (7.9 GHz). VSWR<2 is present throughout the band. The impedance bandwidth of 126.58% shows its candidature for many wireless UWB communication applications. Keywords: Four-Element UWB-MIMO Antenna, Orthogonal, Plus-sign Stub, High Isolation. Yan-Yan Liu, Zhi-Hong Tu, “Compact Differential Band-Notched Stepped-Slot UWB-MIMO Antenna with Common-Mode Suppression”, IEEE Antennas and Wireless Propagation Letters, 2016. Ahmed A. Ibrahim, Mahmoud A. Abdalla, John L. Volakis, “4 Elements UWB MIMO Antenna for Wireless Applications”, Antennas and propagation and USNC/URSI National Radio Science Meeting IEEE Symposium, 19 October 2017. –L. Liu, Z.–D. Wang, Y.–Z. Yin, J. Ren, and J.–J. Wu, “A Compact Ultrawideband MIMO Antenna Using QSCA for High Isolation”, IEEE Antennas and Wireless Propagation Letters, pp no. 1497 – 1500, vol.13, 17 July 2014. Deepika Sipal, Mahesh P. Abegaonkar, and Shiban Kishen Koul, “Easily Extendable Compact Planar UWB MIMO Antenna Array”, IEEE Antennas and Wireless Propagation Letters, Vol. 16, 2017. Yashika, Monika Sharma, Sachin Sharma, Kumar Goodwill, Jagannath Malik, “A CPW Fed Antenna Design for UWB-MIMO Communication System for High isolation” , International Conference on Innovative Applications of Computational Intelligence on Power, Energy and Controls with their Impact on Humanity (CIPECH14) 28 & 29 November 2014. P Naveen Kumar Reddy, S Anuradha, “A Compact Four Element UWB MIMO Antenna” , International Conference on Trends in Electronics and Informatics ICEI 2017. Saleem, M. Bilal, K.B. Bajwa and M.F. Shafique, “Eight-element UWB-MIMO array with three distinct isolation mechanisms”, ELECTRONICS LETTERS, Vol. 51 No. 4 pp. 311–313, 19th February 2015. Jianfeng Zhu, Shufang Li, Botao Feng, Li Deng, and Sixing Yin, “Compact Dual-Polarized UWB Quasi-Self-Complementary MIMO/Diversity Antenna With Band-Rejection Capability”, IEEE Antennas and Wireless Propagation Letters, Vol. 15, 2016. Abstract: Chatbot’s are Natural language processing system based artificial intelligence systems that we interact with via text or voice interface like Apple siri or Google voice. World are now considering how best to apply new Bot technologies to their business to provide customers services, and their way to think about which types of work can be automated or augmented by Artificial Intelligence solutions for such problems. In this paper we are going to design a Chatbot for companies which can reduce human efforts (person who communicate customer by chatting other than voice process). Chatbot, are a hot topic and many companies are hoping to develop bots to have natural conversations indistinguishable from human ones, and many are claiming to be using. Natural language processing and Deep Learning techniques are used to make this possible. Keywords: Chatbot, Artificial Intelligence, Natural Language Processing, Machine Learning, Deep Learning. Abstract: Membrane fouling is mainly associated with the deposition of solute molecules on the membrane surface. The performance of a given membrane is found to be degraded due to membrane fouling and hence it results into a significant decline in the permeate flux. Therefore it is very necessary to interpret the fouling mechanism in order to predict the profile of permeate flux. The present study illustrates the mechanism of membrane fouling through describing four pore blocking models such as complete pore blocking, standard pore blocking, intemediate pore blocking and cake filtration. The model parameters were also evaluated at varying trans-membrane pressures ranging from 196 to 392 kPa. The accuracy of the fitted model was further judged in terms of higher value of regression coefficient (R2) and here also it is confirmed from Table 1 that cake filtration model exhibits higher values of R2 (≈ 0.98). The degree of membrane fouling was indicated by model parameter k. The values of permeate fluxes calculated from different models are found to be less than the experimental values of the permeate flux indicating the under prediction of flux profile. Keywords: Concentration Polarization, Fouling, Membrane, Permeate Flux, Pore Blocking. Baghbanzadeh, D. Rana, C. Q. Lan, T. Matsuura, “Effects of hydrophilic silica nanoparticles and backing material in improving the structure and performance of VMD PVDF membranes”, Separation and Purification Technology, vol. 157, pp. 60–71, 2016. Mehrdad, W. Daniel, S. A. Kikavous, E. Larisa, P. Laura, M. Peter, B. Peter, C. Peter, “Investigations on the use of different ceramic membranes for efficient oilfield produced water treatment”, Desalination, vol. 250, no. 3, pp. 991-96, 2010. R. Ahmadun, A. Pendashteh, L. C. Abdullah, D. R. A. Biak, S. S. Madaeni, Z. Z. Abidin, “Review of technologies for oil and gas produced water treatment”, Journal of Hazardous Materials, vol. 170, no. 2-3, pp. 530–551, 2009. Xiong, A. L. Zydney, M. Kumar, “Fouling of microfiltration membranes by flow back and produced waters from the Marcellus shale gas play”, Water Research, vol. 99, pp. 162-170, 2016. Jin, Y. Ju, H. Lee, S. Hong, “Fouling potential evaluation by cake fouling index: Theoretical development, measurements, and its implications for fouling mechanisms”, Journal of Membrane Science, vol. 490, pp. 57–64, 2015. Wandera, S. R. Wickramasinghe, S. M. Husson, “Modification and characterization of ultrafiltration membranes for treatment of produced water”, Journal of Membrane Science, vol. 373, pp. 178-188, 2011. Jacob, M. Y. Jaffrin, “Purification of brown cane sugar solutions by ultrafiltration with ceramic membranes: investigation”, Seperation Science and Technology, vol. 35, no. 7, pp. 989. Mondal S.; S. R. Wickramasinghe, “Produced water treatment by nanofiltration and reverse osmosis membranes”, Journal of Membrane Science, vol. 322, no. 1, pp. 162-170, 2008. K. Nandi, B. Das, R. Uppaluri, M. K. Purkait, “Microfiltration of mosambi juice using low cost ceramic membrane”, J Journal of Food Engineering, vol. 95, no. 4, pp. 597-605, 2009. Jegatheesan, D.D. Phong, L. Shu, R. B. Aim, “Performance of ceramic micro- and ultrafiltration membranes treating limed and partially clarified sugar cane juice”, Journal of Membrane Science, vol. no. 1-2, pp. 69-77, 2009. Jegatheesan, L. Shu, D. D. Phong, Navaratna, Dimuth and Neilly, Adam, “Clarification and concentration of sugar cane juice through ultra, nano and reverse osmosis membranes”, Membrane water treatment, vol. 3, no. 2, pp. 99-111, 2012. Sim, L. Shu, V. Jegatheesan, D. D. Phong, “Effect of operating parameters and cleaning on the performance of ceramic membranes treating partially clarified sugar cane juice”, Separation Science and Technology, vol. 44, no. 15, pp. 3506-3537, 2009. Li, G. Ling, F. Lei, N. Li, W. Peng, K. Li, H. Lu, F. Hang, Y. Zhang, “Ceramic membrane fouling and cleaning during ultrafiltration of limed sugarcane juice”, Separation and Purification Technology, vol. 190, pp. 9–24, 2018. N. B. Elizaldea, S. Al-Gharabli, J. Kujawa, M. Mavukkandy, S. W. Hasan, H. A. Arafat, “Fabrication of blend polyvinylidene fluoride/chitosan membranes for enhanced flux and fouling resistance”, Separation and Purification Technology, vol. 190, pp. 68–76, 2018. Tang, Z. Zhang, X. Zhang, “New insight into the effect of mixed liquor properties changed by pre-ozonation on ceramic UF membrane fouling in wastewater treatment”, Chemical Engineering Journal, vol. 314, pp. 670–680, 2017. Abstract: The applications of conveyor are increasing day by day in the manufacturing industries due to its flexibility and accuracy in material handling. Industries like packaging and food processing uses conveyor for the rapid production and less power utilization in material handling. In general, only a single type of object likes tablets, bottles or trays are monitored and controlled on a single conveyor in pharmaceutical industries. The trays or boxes on the conveyor are to be stopped at the required station and material to be filled in the trays on conveyor. This can be done using the induction type proximity sensors and counters placed at different positions in the system. In given system, we have done the design and fabrication of semi-automatic tablet counting and shifting mechanism in belt conveyor used in the packaging and transportation system in tablet packaging for pharmaceutical industries. The number of trays/boxes to be filled by tablets can be transfer by using arrangements of proximity sensors and pneumatic locking along with counting system. The output packaging fixed can be easily altered in between the process. Keywords: Tablets, Packaging, Counter, Pneumatic, Sensors, Belt Conveyor. Niresh J., Abdul Samath A.
Abstract: This paper provides the means to effectively improve the braking system using BLDC controlled by microcontroller. Efficiency of the conventional mechanical braking is drastically influenced by friction, because of this friction due to braking, life of the brake followed by integrity of the system became compromised. To overcome this, normal braking is assisted using BLDC. Prototype is developed, and the parameters such as braking distance and braking time for various vehicle speed are measured and discussed. Abbas Shiri and Abbas Shoulaie. “End Effect Braking Force Reduction in High Speed Single-Sider Linear Induction Machine” Journal of EnergyConversion and Management, Volume 61, pp 43–50(2012). Jeongminkim,ChimanPark,SunghoHwang,Yoichi Hari and Hyunsoo Kim “Control Algorithm for an Independent Motor Drive Vehicle” Sep 2010,IEEE transaction on Vehicular Technology,Vol.59. Gewald,S.Karellas and A.Spliethoff., 2012 “Integrated Sysytem Approach for Increase of Engine Combined Cycle Efficiency” ELSEVIER on Energy conversion and Management. Ruimin Li and Geoffery Rose.,2011 “Incorporating Uncertainly into Short-Term Travel Time Predictions” Journal of Transportation Research, Part: c Emerging Technologies, Volume 19, Issue 6,pp 1006–1018. BakheiraTabbach,AbdelazizKheloui and Mohamed EI Hachemi Benbouzid.,2011“An adaptive Electric Differential for Electric Vehicle Motion Stabilization” IEEE Transaction on Vehicular Technology,Vol 60. Abdel fatah Nasri, Brahim Gasbaou and Mohammed Fayssal.,2009“Sliding Mode Control Four Wheels Electric Vehicle Drive” Procedia Technology 22,pp 518 – 526. Keywords: Spiral Blades, Bidirectional Motion, Pneumatic Ram, Planetary Mixer. raghunath Rajaput, Mr. Tamboli Najirkhan, Prof, S.T. Waghmode, “Bi-Directional Mixer”, International Journal of Innovations in Engineering Research and Technology, Volume 2,Issue-4 Apr (2015 ) 1-13. Maria Cristna Valigi, Silvia Logozzo, Mirko Rinchi, “Wear Resistance of Blades in Planetaey concrete Mixers, Desing of a New Improved Blade Shape and 2D Validation”, Tribology International 96(2016) 191-201. Hans Lokke, Ad M.J Ragas, Martin Holmstrup, “Tool and Perspectives for assessing Chemical Mixtures and Multiple Stressors”, Toxicology 313(2013) 73-82. Amruta K.Wankhede, Dr. A. R.sahu, “Desing, Modification and Analysis of Concrete Mixer Machine”, International Journal on Recent and Innovation Trends in Computing and communication, Volume 3,Issue 12,6613-6616. Sachin n.waghmare, Suraj P.Mail, Pranav S.Nalawade, Digambar A. Mohit,Pranil D.Salunke,”Design and Analysis of Electrically powered mixer for phenyl”, International Journal of advanced technology in engineering and science, volume ª,Issue No-1 March 2016. Sheena Latif, Savier J. S.
Abstract: Doubly Fed Induction Generators have become popular among renewable energy technology associated with wind farms in distribution systems. The Grid Code requirements on LVRT capability of grid connected DFIG systems have gained attention during last few decades. Dynamic Voltage Restorer has emerged as one of the promising, reliable and stable solution for enhancing LVRT capability of grid connected wind generators in many countries. A state of the art review is presented in this paper on the various control strategies adopted in DVR connected DFIG wind farms by various researchers. A MATLAB Simulink based DFIG wind farm is analysed with symmetric and asymmetric faults and PID controller based DVR is implemented as a solution to enhance the LVRT capability of the system. The active and reactive power flow as well as voltage during fault period is restored and compensated successfully. Keywords: DFIG, DVR, LVRT, Controller, etc. 12. Ling Peng, Bruno Francois, Yongdong Li, Improved Crowbar Control Strategy of DFIG based Wind Turbines for Grid Fault Ride Through, Applied Power Electronics Conference and Exposition, 2009, Twenty Fourth Annual IEEE. 17. Xiangwu Yan, Giri Venkataramanan, Yang Wang, Grid fault tolerant operation of DFIG wind turbine generator using passive resistance network, Energy Conversion Congress and Exposition (ECCE), 2009 IEEE, Sep 20-24. 23. Mohsen Rahimi, Mostafa Parniani, Coordinated Control Approaches for low voltage ride through enhancement in wind turbines with doubly fed induction generators, IEEE Transactions on Energy Conversion, Vol.25, Issue.3, Sept. 2010, pp-873-883. 24. M. Jahangir Hossain, Tapan Kumar Saha, Nadarajah Mithulananthan, Hemanshu R.Pota, Control Strategies of Augmenting LVRT Capability of DFIGs in Interconnected Power Systems, IEEE Transactions on Industrial Electronics, Vol.60, Issue.6, June 2013, pp- 2510-2522. 42. Wang Jing, Xu Aiqin, Shen Yueyue, A survey on control strategies of dynamic voltage restorer, Harmonics and Quality of Power, 2008, ICHQP, 13th International Conference, 28 Sept.-1st Oct 2008. Abstract: Digital Video Watermarking is one of the great applications of hiding the data in the video for many kind of application like copyright information hiding, secure data travelling etc. Various watermarking techniques are popular in the research community e.g. Discrete wavelet transform (DWT), Discrete cosine transform (DCT), Principal component analysis (PCA). In this paper, Video Water Marking (VWM) scheme related to DWT and PCA is used.DWT and PCA are utilized in the proposed algorithm which enhances the watermarking embedding and decrypting technique. An Arnold’s cap map method has been introduced in the DWT mechanism due to which the algorithm become more robust and difficult for the attackers. Data are embedded in the LL –HH sub-band of wavelet coefficients and decoding is encountered based on difference and comparison of elements of the first principal component. The resultant video is unsusceptible to much kind of attacks like uniform, Gaussian Noise and Median Filtering. Keywords: Principal Component Analysis (PCA), Watermarking, Frame Extraction, Discrete Wavelet transform (DWT), Visual Saliency. Hsu and J. L. Wu, “DCT-based watermarking for video,” IEEE Trans. Consumer Electron, vol. 44, no. 1, pp. 206–216, Feb. 1998. Young-Yoon, J. Han-Seung, and L. Uk, “3D DFT-based video watermarking using perceptual models,” in Proc. IEEE 46th Midwest Symp. Circuits Syst., vol. 3. Dec. 2003, pp. 1579–1583. Park, S. H. Lee, and Y. S. Moon, “Adaptive video watermarking by utilizing video characteristics in 3D-DCT domain,” in Lecture Notes in Computer Science, vol. 4283. New York, NY, USA: Springer-Verlag, Nov. 2006, pp. 397–406. Campisi and A. Neri, “Perceptual video watermarking in the 3D-DWTdomain using a multiplicative approach,” in Lecture Notes in computer science, vol. 3710. New York, NY, USA: Springer-Verlag, Sep. 2005, pp. 432–443. Khalilian, S. Ghaemmaghami, and M. Omidyeganeh, “Digital video watermarking in 3D ridgelet domain,” in Proc. 11th ICACT, vol. 3. Feb2009, pp. 1643–1646. Houmansadr, H. Pirsiavash, and S. Ghaemmaghami, “Robust content-based video watermarking exploiting motion entropy masking effect,”inProc. Int. Conf. Signal Process. Multimedia Appl., Aug. 2006, pp. 252–259. Huang, C. Yang, and W. Hsu, “A video watermarking technique based on pseudo-3D DCT and quantization index modulation,” IEEE Trans.Inf. Forensics Security, vol. 5, no. 4, pp. 625–637, Dec. 2010. Khalilian and I. V. Bajic, “Multiplicative video watermarking with semi-blind maximum likelihood decoding for copyright protection,”inProc. IEEE Pacific Rim Conf. Commun., Comput. Signal Process., Aug. 2011, pp. 125–130. Koz and A. Alatan, “Oblivious spatiotemporal watermarking of digital video by exploiting the human visual system,” IEEE Trans.Circuits Syst. Video Technol., vol. 18, no. 3, pp. 326–337, Mar. 2008. Deguillaume, G. Csurka, J. O’Ruanaidh, and T. Pun, “Robust3D DFT video watermarking,” Proc. SPIE, vol. 3657, pp. 113–124, Jan. 1999. Hartung and B. Girod, “Watermarking of uncompressed and compressed video,” Signal Process., vol. 66, no. 3, pp. 283–301, May 1998. Simitopoulos, S. Tsaftaris, N. Boulgouris, and M. Strintzis,“Compressed-domain video watermarking of MPEG stream,” in Proc. IEEE ICME, Aug. 2002, pp. 569–572. Noorkami and R. M. Mersereau, “Digital video watermarking in P-frames with controlled video bit-rate increase,” IEEE Trans. Inf. Forensics Security, vol. 3, no. 3, pp. 441–455, Sep. 2008. Golikeri, P. Nasiopoulos, and Z. J.Wang, “Robust digital video watermarking scheme for H.264 advanced video coding standard,” J. Electron.Imaging, vol. 16, no. 4, pp. 043008-1–043008-14, Dec. 2007. Shahid, M. Chaumont, and W. Puech, “Spread spectrum-based watermarkingforTardos code-based fingerprinting of H.264/AVC video,” inProc. IEEE ICIP, Sep. 2010, pp. 2105–2108. J. Cox, M. L. Miller, J. A. Bloom, J. Fridrich, and T. Kalker, Digital Watermarking and Steganography, 2nd ed. San Mateo, CA, USA: Morgan Kauffman, 2008. Arnold, M. Schmucker, and S. D. Wolthusen, Techniques and applications of Digital Watermarking and Content Protection. Norwood, MA, USA: Artech House, 2003. A. P. Petitcolas and S. Katzenbeisser, Information Hiding: Techniques for Steganography and Digital Watermarking. Norwood, MA, USA:Artech House, 2000. A. Akhaee, N. Kalantari, and F. Marvasti, “Robust audio and speech watermarking using Gaussian and Laplacian modeling,” Signal Process., vol. 90, no. 8, pp. 2487–2497, Aug. 2009. A. Akhaee, S. M. E. Saheaeian, and F. Marvasti, “Contourletbased image watermarking using the optimum detector in a noisy environment, ”IEEE Trans. Image Process., vol. 19, no. 4, pp. 967–980, Apr. 2010. A. Akhaee, S. M. E. Saheaeian F. Marvasti, and B. Sankur, “Robust scaling-based image watermarking technique using maximum likelihood decoder with optimum strength factor,” IEEE Trans. Multimedia, vol. 11, no. 5, pp. 822–833, Aug. 2009. Shieh, D. Lou, and M. Chang, “A semi-blind digital watermarking scheme based on singular value decomposition,” Comput. Stand. Inter., vol. 28, no. 4, pp. 428–440, Apr. 2006. Q. Pham, T. Miyaki, T. Yamasaki, and K. Aizawa, “Geometrically invariant object based watermarking using SIFT feature,” in Proc. IEEE TIP, vol. 5. Oct. 2007, pp. 473–476. -J. Shen and J.-M.Ren, “A robust associative watermarking technique based on vector quantization,” Digit. Signal Process., vol. 20, no. 5, pp. 1408–1423, Sep. 2010. Boato, F. G. B. De Natale, and C. Fontanari, “An improved asymmetric watermarking scheme suitable for copy protection,” IEEE Trans.Signal Process., vol. 54, no. 7, pp. 2833–2834, Jul. 2006. Lai and C. Tsai, “Digital image watermarking using discrete wavelet transform and singular value decomposition,” IEEE Trans. Instrum. Meas., vol. 59, no. 11, pp. 3060–3063, Nov. 2010. Z. Liu and T. N. Tan, “An SVD-based watermarking scheme for protecting rightful ownership,” IEEE Trans. Multimedia, vol. 4, no. 1, pp. 121–128, Mar. 2002. Wang, J. F. Doherty, and R. E. Van Dyck, “A wavelet-based watermarking algorithm for ownership verification of digital images,” IEEE Trans. Image Process., vol. 11, no. 2, pp. 77–88, Feb. 2002. S. Faragallah, “Efficient video watermarking based on singularvalue decomposition in the discrete wavelet transform domain,” Int.J. Electron.Commun., vol. 67, no. 3, pp. 189–196, Mar. 2013. Salwa A.K Mostafa, A. S. Tolba, F.M. Abdelkader, Hisham M. Elhindy, Video Watermarking Scheme Based on Principal Component Analysis and Wavelet Transform, IJCSNS International Journal of Computer Science and Network Security, VOL.9 No.8, August 2009. Reyes, C. Cruz, M. Nakano-Miyatake, Member IEEE and H. Perez-Meana, Senior Member IEEE, Digital Video Watermarking in DWT Domain Using Chaotic Mixtures, IEEE Latin America Transactions, VOL. 8, NO. 3, June 2010. Xiaoli Li, Student Member, IEEE, Sridhar (Sri) Krishnan, Senior Member, IEEE, and Ngok-Wah Ma, Senior Member, IEEE, A Wavelet-PCA-Based Fingerprinting Scheme for Peer-to-Peer Video File Sharing, IEEE Transactions on Information Forensics and Security, VOL. 5, NO. 3, September 2010. Xiangui Kang, Jiwu Huang, Senior Member, IEEE, Yun Q. Shi, Senior Member, IEEE, and Yan Lin, A DWT-DFT Composite Watermarking Scheme Robust to Both Affine Transform and JPEG Compression, IEEE Transactions on Circuits and Systems for Video Technology, VOL. 13, NO. 8, August 2003. Ranjana Sinha, Prajnat Bardhan, Swarnali Pramanick, Ankul Jagatramka, Dipak K. Kole, Arun Chakraborty, Department of Computer Science & Engineering, St Thomas’ College of Engineering and Technology, Kolkata, India, Digital Video Watermarking using Discrete Wavelet Transform and Principal Component Analysis, International Journal of Wisdom Based Computing, Vol. 1 (2), August 2011. Nisreen I. Yassin1, Nancy M. Salem2, and Mohamed I. El Adawy National Research Centre, Cairo, Egypt, Block-Based Video Watermarking Scheme Using Wavelet Transform and Principal Component Analysis, IJCSI International Journal of Computer Science Issues, Vol. 9, Issue 1, No 3, January 2012. K. Amirgholipour, A. R. Naghsh-Nilchi: Robust Digital Image Watermarking Based on Joint DWT-DCT, International Journal of Digital Content Technology and its Applications Volume 3, Number 2, pp. 42-54, June 2009. Martin Zlomek, Charles University in Prague, Faculty of Mathematics and Physics, Department of Software and Computer Science Education, Video Watermarking. Chandra, S. Pandey: A DWT Domain Visible Watermarking Techniques for Digital Images, International Conference on Electronics and Information Engineering, pp. V2-421 - V2-427, 2010. Peterson, Linear Algebra, Arnold’s cat map,1997. Abstract: Video watermarking is an important issue to encrypt intellectual property information for the data creators. Increasing data exchange over the internet also enhancing the probability of piracy and attacks on the encrypted/watermarked video. This problem is encouraging the research community to work over the robust watermarking algorithm which provides ideally attack free watermarked video with the quality maintenance of the video. The Video watermarking techniques using Discrete Wavelet Transform (DWT) or Principal Component Analysis (PCA) played a vital role to develop enhanced algorithm to develop the digital watermarking techniques since the last decade. In this paper, a rigorous literature survey has been done to understand the new possible trends in digital watermarking. An investigation of DWT, PCA, and other possible techniques has been done. The possible attacks also discussed along with a survey to understand the robustness of the proposed algorithm of watermarking. This study and survey provide a better way to understand the new areas and scope of research to the researchers. Hsu and J. L. Wu, “Hidden Digital Watermarks in Images” IEEE Transactions on image processing, vol. 8, no. 1, January 1999. Biswas, S.R. Das, and E.M. Petriu, “An Adaptive Compressed MPEG-2 Video Watermarking Scheme” IEEE Transactions on Instrumentation and Measurement, vol. 54, no. 5, October 2005. Noorkami and R.M. Mersereau, “Digital Video Watermarking in P-Frames with Controlled Video Bit-Rate Increase” IEEE Transactions on Information Forensics and Security, vol. 3, no. 3, September 2008. Reyes, C. Cruz, M. N. Miyatake and H. P. Meana, “Digital Video Watermarking in DWT Domain using Chaotic Mixtures” IEEE Latin America Transactions, vol. 8, no. 3, June 2010. Y. Huang, C.H. Yang, and W.H. Hsu, “A Video Watermarking Technique Based on Pseudo-3-D DCT and Quantization Index Modulation” IEEE Transactions on Information Forensics and Security, vol. 5, no. 4, December 2010. C. Lai and C.C. Tsai, “Digital Image Watermarking Using Discrete Wavelet Transform and Singular Value Decomposition” IEEE Transactions on Instrumentation and Measurement, vol. 59, no. 11, November 2010. R. Keyvanpour, F.M. Bayat, “Robust Dynamic Block-Based Image Watermarking in DWT Domain” Procedia Computer Science 3 (2011) 238–242. Khalilian and I.V. Bajic, “Video Watermarking with Empirical PCA Based Decoding” 2013 IEEE. Sharma and A. Tiwari, “A Hybrid technique of Video Watermarking in Wavelet domain and Scan based Encryption Method” 2014 IJEDR | Volume 2, Issue 3 | ISSN: 2321-9939. Fallahpour, S. Shirmohammad, M.Semsarzadeh, and J. Zhao, “Tampering Detection in Compressed Digital Video Using Watermarking” IEEE Transactions on Instrumentation and Measurement, vol. 63, no. 5, May 2014. Chitrasen and T. Kashyap, “Digital Video Watermarking using DWT for Data Security” International Journal of Advanced Research in Computer and Communication EngineeringVol. 4, Issue 1, January 2015. Rajendhiran, J. Elavanthan, M. Vengadapathiraj, R. Vinothkumar and Dr. M. Saravanan, “Video watermarking algorithm for content authorization” International Journal of Science, Engineering and Technology Research (IJSETR) Volume 4, Issue 3, March 2015. Thind and S. Jindal, “A Semi-Blind DWT-SVD Video Watermarking” International Conference on Information and Communication Technologies (ICICT 2014). Asikuzzaman, Md. J. Alam, A.J. Lambert, and Mark R. Pickering, “Robust DT CWT Based DIBR 3D Video Watermarking using Chrominance Embedding” Transactions on Multimedia 2016, pp:1-16, 2016. Asikuzzaman and M. R. Pickering, “An Overview of Digital Video Watermarking” IEEE Transactions on Circuits and Systems for Video Technology 1051-8215 (c) 2016 IEEE. Kaur and A. K Gupta, “A Survey on Different Video Watermarking Techniques” International Journal of Latest Trends in Engineering and Technology (IJLTET) Vol. 4 Issue 4 November 2014. Dong, J.G. Brankov, N.P. Galatsanos, Y.Yang, and F.Davoine, “Digital Watermarking Robust to Geometric Distortions” IEEE Transaction on image processing, vol 14 no 12, 2005 pp:2140-2150. Majumder, S. Swarnalipi, S. Sarkar and S.Kumar Sarkar. A Novel Watermarking using Multiresolution SVD matrix. International Journal of Electrical, Electronics vol.1, Iss 2, 2012 pp.35-39. Sanjana Sinha, PrajnatBardhan, SwarnaliPramanick, AnkulJagatramka, Dipak K. Kole, Arun Chakraborty,Department of Computer Science & Engineering, St Thomas’ College of Engineering and Technology, Kolkata, India, Digital Video Watermarking using Discrete Wavelet Transform and Principal Component Analysis, International Journal of Wisdom Based Computing, Vol. 1 (2), August 2011. Anandkumar, Mukesh Gupta, “Semi visible Watermarking Scheme Based on DWTandPCA” International Conference on Green Computing and Internet of Things (ICGCloT), 2015, pp: 986-990. A Chimanna, S.R.Khot, “Digital Video Watermarking Techniques for Secure Multimedia Creation and Delivery”, International Journal of Engineering Research andApplications, Vol. 3, Issue 2, March -April 2013, pp.839-844. C. Gonzalez, R. E. Woods, and S. L. Eddins, “Digital image processing Using Matlab”, Pearson Prentice Hall, New Jersey, 2004. W. Chan and M. R. Lyu, “A DWT-based digital video watermarking scheme with error correcting code” Proceedings of the 5Th International Conference on Information and Communications Security, 2003, pp. 202-213. ErkanYavuz and ZiyaTelatar, ”Digital Watermarking with PCA Based Reference Images”, ACIVS 2007, pp. 1014–1023. Zaidi, R. Boyer, and P. Duhamel, “Audio Watermarking Under Desynchronization and Additive Noise Attacks”, IEEE TRANSACTIONS ON SIGNAL PROCESSING, VOL. 54, NO. 2, FEBRUARY 2006, pp: 570-584. Zhao, Y., Campisi, P., Kundur, D., "Dual Domain Watermarking for authentication and Compression of Cultural Heritage Images", in IEEE transactions on linage Processing, vol. 13, no. 3, pp. 430-448, March 2004. Preference of Flexible Pavement Crust Type for Traffic 50msa and Above, based on Low Direct Construction Cost. Abstract: This paper expedite minimizing the cost of road construction, through analysis done based on the road types cited in IRC 37. There are five flexible road types cited in IRC 37-2012 for different traffic volumes and construction materials at various CBRs ranging from 2% to 15 %. This paper includes the analysis for traffic volume 50msa, 100msa and 150msa. District schedule rates and the specification and standards of the Roads (MORTH Specifications) are used to calculate material, equipment and direct construction cost. Co-relation between the cost, road types, CBRs and Traffic volumes is established, which act as baseline to select the low costing road crust type at a particular site for traffic volume from 50 to 150msa. Keywords: Direct Construction cost, Road Types, Traffic, CBRs, Material and construction cost. Endut, I.R., Akintoye, A. & Kelly, J. (2009). Cost and time overruns of projects in Malaysia. Proceedings of the 2nd Scottish Conference for Postgraduate Researchers of the Built and natural Environment (PRoBE), 16 - 17 November, 2009, Glasglow Caledonian University. Al-Zarooni, S. Abdou, A., 2000., “Risk management in pre-design stage and its potential benefits for UAE public projects” . In: Proceedings of the 28th World Congress on Housing Challenges for the 21st Century, 15–19 April, Abu Dhabi, UAE. Abstract: Hands-on interventions have been the focus of many studies; however, they frequently are not done using a population of students involved in active learning. Engineering technology programs are established with the premise that the program will encourage hands-on exercises, in field experiences, and contact with those that have experience in the field. These researchers work with engineering technology students throughout the academic year, some of them have experience in other programs such as engineering, mathematics, and business. They find the contrast between these groups of students often remarkable. Some studies have focused on the cognitive development of this population, others have focused on survey response that includes student or graduate introspection regarding their education and career path. Few focus on how the students respond to short, hands-on tasks involving the use of existing skills, and those they acquire in class. This study presents a set of exercises to students and analyzes the level of engagement, interest, and knowledge gain by asking them to carefully consider the answers to three questions and then respond to those questions. The researchers focus on the qualitative and quantitative answers, as well as student interaction following the exercises. Purdue Polytechnic is one of Purdue’s University Colleges and has 9 remote locations spread across the state in addition to main campus. Students located at main campus tend to be traditional students that matriculate immediately after high school graduation, while those at the remote campus’ are more likely to matriculate a year or more after high school graduation. The interactive hands-on exercises were tested on students located in one of the remote sites and the results are compared to other remote sites and to the main campus, as well. These groups also are different in size ranging from a few students to nearly 100. The data in this study is analyzed as an aggregate and as separate locations. The researchers find that these students have more intuition to solve problems, as noted by past research on this population, done in a different manner. Keywords: Active Learning, Performance Comparisons and Improvements, Student-Centered Learning. ABET Technology Accreditation Commission. (2009). Criteria for Accrediting Engineering Technology Programs. In: October. Lee, E. & Hannafin, M. J. (2016). A design framework for enhancing engagement in student-centered learning: own it, learn it, and share it. 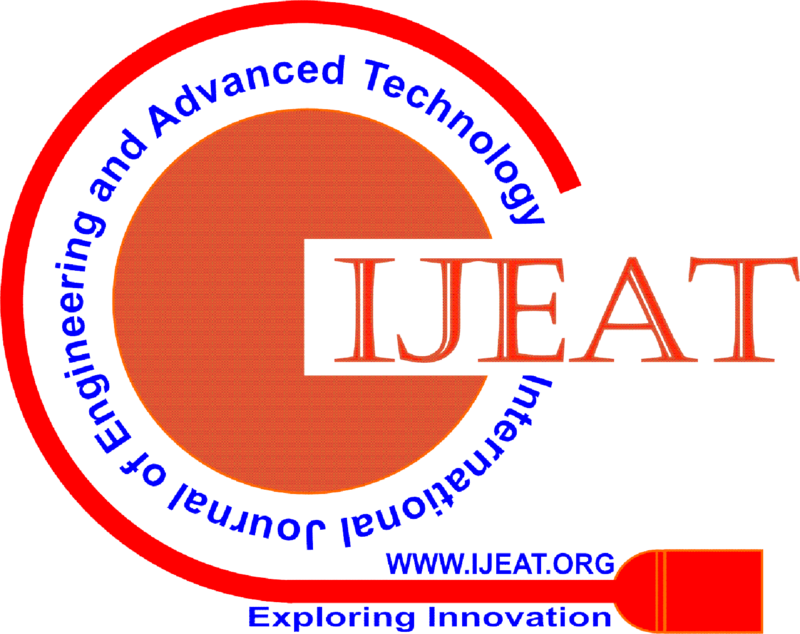 Educational Technology Research and Development, 64(4), 707-734. Beichner, R. J., Saul, J. M., Abbott, D. S., Morse, J. J., Deardorff, D., Allain, R. J., and Risley, J. S. (2007). The student-centered activities for large enrollment undergraduate programs (SCALE-UP) project. Research-based reform of university physics, 1(1), 2-39. French, S., & Kennedy, G. (2017). Reassessing the value of university lectures. Teaching in Higher Education, 22(6), 639-654. Alt, D. (2017). College students’ perceived learning environment and their social media engagement in activities unrelated to class work. Instructional Science, 45(5), 623-643. Latifah, L., Susilowati, N., & Setiyani, R. (2017). The Effects of Authentic Learning on Generic Skills and Characters. Advanced Science Letters, 23(8), 7800-7803. Lucietto, A. M., & Leach, S. (2017). Comparing Main Campus Engineering Technology Students to Those at Remote Sites. Paper presented at the ASEE Annual Conference, Columbus, OH. Abstract: The human face assumes a tremendous part for programmed acknowledgment of feeling in the field of recognizable proof of human feeling and the connection amongst human and PC for some genuine application like driver state observation, customized learning, wellbeing checking and so on. Most announced facial feeling acknowledgment frameworks, in any case, are not completely thought to be subject-autonomous dynamic highlights, so they are not sufficiently vigorous for genuine acknowledgment assignments with subject (human face) variety, head development and brightening change. In this article we have endeavored to outline a computerized structure for feeling location utilizing outward appearance. For human-PC cooperation outward appearance makes a stage for non-verbal correspondence. The feelings are adequately variable happenings that are evoked because of actuating power. So, in actuality, application, discovery of feeling is exceptionally testing undertaking. Outward appearance acknowledgment framework requires to defeat the human face having various changeability, for example, shading, introduction, demeanor, stance and surface so on. In our structure we have taken edge from live gushing and prepared it utilizing Grabor highlight extraction and neural system. To distinguish the feeling facial traits extraction by foremost segment investigation is utilized and a clusterization of various outward appearance with individual feelings. At long last to decide outward appearances independently, the handled element vector is directed through the officially learned example classifiers. Outward appearances offer essential information concerning feelings of somebody. Understanding outward appearances precisely is one in all the troublesome assignments for social connections. Programmed feeling identification abuse outward appearances acknowledgment is as of now a principle space of enthusiasm among changed fields like registering, drug, and science. HCI examination groups also utilize machine-controlled facial highlights acknowledgment framework for higher outcomes. changed element extraction systems are produced for acknowledgment of articulations from static pictures in addition as ongoing recordings. This paper gives an audit of investigation work dispensed and uncovered inside the field of facial highlights acknowledgment and changed methods utilized for facial highlights acknowledgment. Keywords: Automated Facial Expression Recognition System, Face Detection, Emotion Detection, And Human Computer Interaction (HCI). Bartlett, Marian Stewart, et al. "Measuring facial expressions by computer image analysis." Psychophysiology 36.2 (1999): 253-263. Black, Michael J., and Yaser Yacoob. "Tracking and recognizing rigid and non-rigid facial motions using local parametric models of image motion." Computer Vision, 1995. Proceedings., Fifth International Conference on. IEEE, 1995. Donato, G., Bartlett, M.S., Hager, J.C., Ekman, P. and Sejnowski, T.J., 1999. Classifying facial actions. IEEE Transactions on pattern analysis and machine intelligence, 21(10), pp.974-989. Essa, Irfan A., and Alex Paul Pentland. "Coding, analysis, interpretation, and recognition of facial expressions." IEEE transactions on pattern analysis and machine intelligence 19, no. 7 (1997): 757-763. Fukui, K. and Yamaguchi, O., 1998. Facial feature point extraction method based on combination of shape extraction and pattern matching. Systems and Computers in Japan, 29(6), pp.49-58. Lee, T. S. (1996). Image representation using 2D Gabor wavelets. IEEE Transactions on pattern analysis and machine intelligence, 18(10), 959-971. Lien, J.J.J., Kanade, T., Cohn, J.F. and Li, C.C., 2000. Detection, tracking, and classification of action units in facial expression. Robotics and Autonomous Systems, 31(3), pp.131-146. Lyons, M., Akamatsu, S., Kamachi, M., & Gyoba, J. (1998, April). Coding facial expressions with gabor wavelets. In Automatic Face and Gesture Recognition, 1998. Proceedings. Third IEEE International Conference on (pp. 200-205). IEEE. Mase, Kenji. "Recognition of facial expression from optical flow." IEICE transactions (E) 74 (1991): 3474-3483. Susskind, J.M., Hinton, G.E., Movellan, J.R. and Anderson, A.K., 2008. Generating facial expressions with deep belief nets. In Affective Computing. InTech. Hinton, G. E. (2012). A practical guide to training restricted Boltzmann machines. In Neural networks: Tricks of the trade (pp. 599-619). Springer, Berlin, Heidelberg. Abstract: Stroke hazard stratification visible of grayscale morphology of the ultrasound arterial blood vessel divider has as these days been looked as if it would have a guarantee in arrangement of high hazard versus usually safe plaque or symptomatic versus symptomless plaques. In past examinations, this stratification has been primarily visible of investigation of the furthest mass of the arterial blood vessel vein. thanks to the multifocal plan of hardening of the arteries malady, the plaque development is not restricted to the way divider alone. This paper displays another approach for stroke likelihood appraisal by incorporating analysis of each the shut and much dividers of the arterial blood vessel itinerary utilizing grayscale morphology of the plaque. Further, this paper displays a logical approval framework for stroke hazard appraisal. each these advancements have not been displayed. The philosophy includes of a mechanized division arrangement of the shut divider and much divider locales in grayscale arterial blood vessel B-mode ultrasound checks. Sixteen grayscale surface highlights square measure patterned, and nourished into the machine learning framework. The preparation framework uses the lumen breadth to form ground truth names for the stratification of stroke hazard. The cross-approval strategy is adjusted keeping in mind the tip goal to amass the machine reading testing characterization exactness mistreatment 3 arrangements of parcel conventions: (5, 10, and Jack Knife). The mean order exactness over all of the arrangements of section conventions for the computerized framework within the way and shut dividers is ninety five.08% and 93.47%, on an individual basis. The relating correct nesses for the manual framework square measure ninety four.06% and 92.02%, on an individual basis. The accuracy of import of the mechanized machine learning framework once analyzed against manual hazard analysis framework square measure ninety eight.05% and 97.53% for the way and shut dividers, separately. The mythical creature of the hazard analysis framework for the way and shut dividers is close to one.0 showing high exactness. Mittmann, Nicole, Soo Jin Seung, Michael D. Hill, Stephen J. Phillips, Vladimir Hachinski, Robert Coté, Brian H. Buck et al. "Impact of disability status on ischemic stroke costs in Canada in the first year." Canadian Journal of Neurological Sciences 39, no. 6 (2012): 793-800. Hartley, Louise, Ewemade Igbinedion, Margaret Thorogood, Aileen Clarke, Saverio Stranges, Lee Hooper, and Karen Rees. "Increased consumption of fruit and vegetables for the primary prevention of cardiovascular diseases." Cochrane Database Syst Rev 4, no. 6 (2012). Saba, L., Gao, H., Acharya, U.R., Sannia, S., Ledda, G. and Suri, J.S., 2012. Analysis of carotid artery plaque and wall boundaries on CT images by using a semi-automatic method based on level set model. Neuroradiology, 54(11), pp.1207-1214. Laine, Andrew, Joäao Miguel Sanches, and Jasjit S. Suri. Ultrasound Imaging: Advances and Applications. Springer, 2012..
Saba, L., Tallapally, N., Gao, H., Molinari, F., Anzidei, M., Piga, M., Sanfilippo, R. and Suri, J.S., 2013. Semiautomated and automated algorithms for analysis of the carotid artery wall on computed tomography and sonography. Journal of Ultrasound in Medicine, 32(4), pp.665-674. Ross, Russell. "Cell biology of atherosclerosis." Annual review of physiology 57, no. 1 (1995): 791-804. Tracqui, P., Broisat, A., Toczek, J., Mesnier, N., Ohayon, J. and Riou, L., 2011. Mapping elasticity moduli of atherosclerotic plaque in situ via atomic force microscopy. Journal of structural biology, 174(1), pp.115-123. Teng, Z., Zhang, Y., Huang, Y., Feng, J., Yuan, J., Lu, Q., Sutcliffe, M.P., Brown, A.J., Jing, Z. and Gillard, J.H., 2014. Material properties of components in human carotid atherosclerotic plaques: a uniaxial extension study. Acta biomaterialia, 10(12), pp.5055-5063. Amato, Mauro, Piero Montorsi, Alessio Ravani, Elisa Oldani, Stefano Galli, Paolo M. Ravagnani, Elena Tremoli, and Damiano Baldassarre. "Carotid intima-media thickness by B-mode ultrasound as surrogate of coronary atherosclerosis: correlation with quantitative coronary angiography and coronary intravascular ultrasound findings." European Heart Journal 28, no. 17 (2007): 2094-2101. Kao, Amy H., Apinya Lertratanakul, Jennifer R. Elliott, Abdus Sattar, Linda Santelices, Penny Shaw, Mehret Birru et al. "Relation of carotid intima-media thickness and plaque with incident cardiovascular events in women with systemic lupus erythematosus." American Journal of Cardiology 112, no. 7 (2013): 1025-1032. Eigenbrodt, M. L., Bursac, Z., Rose, K. M., Couper, D. J., Tracy, R. E., Evans, G. W., ... & Mehta, J. L. (2006). Common carotid arterial interadventitial distance (diameter) as an indicator of the damaging effects of age and atherosclerosis, a cross-sectional study of the Atherosclerosis Risk in Community Cohort Limited Access Data (ARICLAD), 1987–89. Cardiovascular Ultrasound, 4(1), 1. Eigenbrodt, Marsha L., et al. "Common carotid artery wall thickness and external diameter as predictors of prevalent and incident cardiac events in a large population study." Cardiovascular ultrasound 5.1 (2007): 11. Ikeda, Nobutaka, Norihiro Kogame, Raisuke Iijima, Masato Nakamura, and Kaoru Sugi. "Impact of carotid artery ultrasound and ankle-brachial index on prediction of severity of SYNTAX score." Circulation Journal 77, no. 3 (2013): 712-716. Araki, T., Ikeda, N., Dey, N., Acharjee, S., Molinari, F., Saba, L., ... & Suri, J. S. (2015). Shape‐Based Approach for Coronary Calcium Lesion Volume Measurement on Intravascular Ultrasound Imaging and Its Association With Carotid Intima‐Media Thickness. Journal of Ultrasound in Medicine, 34(3), 469-482. Araki, Tadashi, Nobutaka Ikeda, Nilanjan Dey, Suvojit Acharjee, Filippo Molinari, Luca Saba, Elisa Cuadrado Godia, Andrew Nicolaides, and Jasjit S. Suri. "Shape‐Based Approach for Coronary Calcium Lesion Volume Measurement on Intravascular Ultrasound Imaging and Its Association With Carotid Intima‐Media Thickness." Journal of Ultrasound in Medicine 34, no. 3 (2015): 469-482. Araki, Tadashi, Nobutaka Ikeda, Devarshi Shukla, Pankaj K. Jain, Narendra D. Londhe, Vimal K. Shrivastava, Sumit K. Banchhor et al. "PCA-based polling strategy in machine learning framework for coronary artery disease risk assessment in intravascular ultrasound: A link between carotid and coronary grayscale plaque morphology." Computer methods and programs in biomedicine 128 (2016): 137-158. Araki, Tadashi, et al. "PCA-based polling strategy in machine learning framework for coronary artery disease risk assessment in intravascular ultrasound: A link between carotid and coronary grayscale plaque morphology." Computer methods and programs in biomedicine 128 (2016): 137-158. Abstract: In this work, investigation of the effect of different slots in a hexagonal shaped microstrip patch antenna is presented. The proposed antenna is designed on FR4-epoxy substrate and the performance is obtained by using CST Microwave Studio. The antenna has been analyzed for various dimensions of slots and the optimum design has been chosen. By increasing the number of slots, the gain, bandwidth and return loss of the structure has been improved. The simulated antenna structures also show dual band characteristics. The antenna offers application in WiFi IEEE802.11n (2.4 to 5 GHz) and UWB range especially for X-band uplink satellite system (7.9–8.4GHz). As the designed structures resonate in C-band (4-8 GHz), it offers applications in Fixed Satellite Services (FSS) and military also. Keywords: Microstrip Patch Antenna, Ultra Wide Band, Fixed Satellite Services, Return Loss. Y. Liu, 2011, “An Improved Rectenna for wireless Power Transmission for Unmanned air vehicles”, naval postgraduate School, Monterey, California. Yogamathi, S. Banu, A. Vishwapriya, “Design of fractal antenna for multiband applications”, IEEE-31661, ICCCNT, 4-6 July, 2013. Chung K, Kim J, Choi J. Wideband microstrip-FED monopole antenna having frequency band-notch function. IEEE Microwave Wirel. Compon. Lett. 2005;15:766–768. Vuong TP, Ghiotto A, Duroc Y, Tedjini S. Design and characteristics of a small U-slotted planar antenna for R-UWB. Microwave Opt. Technol. Lett. 2007;49:1727–1731. Abbosh AM, Bialkowoski ME, Mazierska J, Jacob MV. A planar UWB antenna with signal rejection capability in the 4–6 Hz band. IEEE Microwave Wirel. Compon. Lett. 2006;16:278–280. Kim Y, Kwon DH. CPW-fed planar ultra wideband antenna having a frequency band notch function. Electronics Lett. 004;40:403–405. Symposium, Vol. 2,pp. 704-707,June. Wong, K. (2002), "Com pact and Broadband Microstrip Antenna", JohnWiley & Sons,Inc. Gupta,N. and Gupta,V.R. (2005),"Reduced Size,Dual Frequency Band Antenna for Wireless Communication",IEEE International Corifence on Personal Wireless Communications, pp. 321-323,Jan. Ghosh,B.,Haque,S.M. and Mitra,D. (2011), "Minituarization of Slot Antennas Using Slit and Strip Loading",IEEE Transactions on Antennas and Propagation, Vol. 59,pp. 3922-3927,Aug. J. Vidmar. (1992, August). On the use of atmospheric plasmas as electromagnetic reflectors. IEEE Trans. Plasma Sci. [Online]. 21(3). pp.876—880. Abstract: Opinion mining also known as sentiment analysis is the computational study of subjective information towards different entities. Entities usually refer to products, organizations, services or/and their features, functions, components and attributes. Opinion mining is a major task of Natural Language Processing (NLP) that studies methods for identifying and extracting opinions from written text, such as product reviews, discussion groups, forums and blogs. Natural Language Processing techniques and lexicon-based approaches for opinion mining are used to extract aspects and customer opinions. Extracting opinion words and product features is an important task in many sentiment analysis applications. Opinion lexicon also plays a very important role because it is very useful for a wide range of tasks. Although there are several opinion lexicons available, it is hard to maintain a universal opinion lexicon to cover all domains. So, it is necessary to expand a known opinion lexicon that is useful for some domains. The aim of this system is to automatically expand opinion lexicon and to extract product features based on the dependency relations. Stanford Core NLP dependency parser is used to identify the dependency relations between features and opinions. Extraction rules are predefined according to these dependency relations. This work proposed an algorithm based on double Propagation to extract feature and opinions. The polarity orientation is annotated by using Vader lexicon. Unlike the existing approaches, this system contributes verbs opinions and verb product features. In order to increase the precision and recall, the system also proposes additional patterns besides 8 rules in Double Propagation. And, general words that are not features and adjectives that are not opinions are filtered in the proposed system. According to experimental studies, our approach is better than the existing state of the art approach. Agarwal, B., Poria, S., Mittal, N., Gelbukh, A., and Hussain, A. “Concept-level sentiment analysis with dependency-based semantic parsing: A novel approach”. Cognitive Computation, pages 1–13, 2015. Asghar M, Khan A, Ahmad S, Kundi F, “A Review of Feature Extraction in Sentiment Analysis”, Journal of Basic and Applied Scientific Research, 4(3): 181–186, 2014. Broß, J. “Aspect-Oriented Sentiment Analysis of Customer Reviews Using Distant Supervision Techniques”. PhD thesis, Freie Universität Berlin, 2013. Bing Liu, (2011) “Web Data Mining, Springer”, Second Edition, Department of Computer Science, University of Illinois, Chicago, USA. Chen, L., Wang, W., Nagarajan, M., Wang, S., Sheth, A. P. “Extracting Diverse Sentiment Expressions with Target-Dependent Polarity from Twitter”, In the Proceedings of the Sixth International AAAI Conference on Weblogs and Social Media(ICWSM), 50–57, 2012. Chinsha, T. and Joseph, S. “A syntactic approach for aspect-based opinion mining”. In Semantic Computing (ICSC), 2015 IEEE International Conference on, pages 24–31. IEEE. De Marneffe, M.-C. and Manning, C. D. “Stanford typed dependencies manual. Report”, Technical report, Stanford University, 2016. Fabbrizio G, Aker A, Gaizauskas R012) “Summarizing Online Reviews Using Aspect Rating Distributions and Language Modeling”, IEEE Intelligent Systems, 28(3): 28–37, 2012. Qiu, B. Liu, J. Bu, and C. Chen, “Opinion word expansion and target extraction through double propagation,” Computational Linguistics 37, no.1, 2011, pp. 9–27. Jiang, M. Yu, M. Zhou, X. Liu, and T. Zhao, “Target-dependent twitter sentiment classification,” In Proc. of the 49th Ann. Meeting of the Association for Computational Linguistics: Human Language Technologies-Volume 1, pp. 151-160. Association for Computational Linguistics, 2011. Khan, K., Baharudin, B., Khan, A., and Ullah, A. “Mining opinion components from unstructured reviews: A review”. 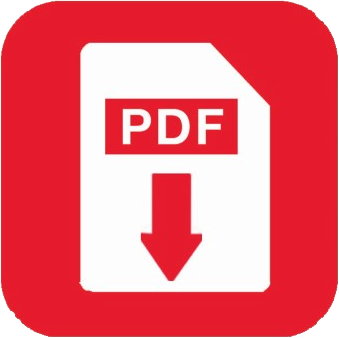 Journal of King Saud University-Computer and Information Sciences, 26(3):258–275, 2014. Kundi F, Ahmad S, Khan A, Asghar, “Detection and Scoring of Internet Slangs for Sentiment Analysis Using SentiWordNet”, Life Science Journal, 11(9):66–72, 2014. Liu, B. “Web data mining: exploring hyperlinks, contents, and usage data”. Springer Science & Business Media, 2011. Liu, B. “Sentiment analysis and opinion mining”. Synthesis Lectures on Human Language Technologies, 5(1):1–167, 2015. Liu, B. “Sentiment analysis mining opinions, sentiments, and emotions”. 1:1–386, 2015. Liu, L. Xu and J. Zhao, “Opinion target extraction using word-based translation model”, Proceedings of the 2012 Joint Conference on Empirical Methods in Natural Language Processing and Computational Natural Language Learning, pp. 1346-1356, 2012. Moghaddam, A. S., “Aspect-based opinion mining in online reviews”. PhD thesis, Applied Sciences: School of Computing Science, 2014. Myat Su Wai and Sint Sint Aung, “Simultaneous Opinion Lexicon Expansion and Product Feature Extraction”, Proceeding of 16th IEEE/ACIS International Conference on Computer and Information Science (ICIS 2017), ISBN: 978–1–5090–5506–7. Neviarouskaya A, Aono M, “Sentiment Word Relations with Affect, Judgment, and Appreciation”, IEEE Transactions on Affective Computing, 4(4): 425–438, 2014. Pontiki, M., Galanis, D., Papageorgiou, H., Manandhar, S., and Androutsopoulos, I., “Semeval-2015 Task 12: Aspect Based Sentiment Analysis”. In Proceedings of the 9th International Workshop on Semantic Evaluation (SemEval 2015), pages 486–495, Denver, Colorado. Association for Computational Linguistics. Pontiki, M., Galanis, D., Pavlopoulos, J., Papageorgiou, H., Androutsopoulos, I., and Manandhar, S.. “Semeval-2014 Task 4: Aspect Based Sentiment Analysis”. In Proceedings of the 8th International Workshop on Semantic Evaluation (SemEval 2014), pages 27–35, Dublin, Ireland. Association for Computational Linguistics. Poria, B. Agarwal, Gelbukh, A. Hussain, N. Howard, “Dependency-based semantic parsing for concept-level text analysis”, In Gelbukh, A. (ed.) Computational Linguistics and Intelligent Text Proceeding, Part I. LNCS, vol. 8403, pp. 113–127. Springer, Heidelberg, 2014. Poria, E. Cambria, G. Winterstein, G. B. Huang, “Sentic patterns: Dependency-based rules for concept-level sentiment analysis,”. Knowledge-Based Systems, vol.69, pp. 45-63, 2014. Poria, E. Cambria, L.W. Ku, C. Gui, A. Gelbukh, “A rule-based approach to aspect extraction from product reviews,” In Workshop Proc. of the 25th International Conference on Computational Linguistics, COLING’14, pp. 28-37, 2014. Shariaty, S. and Moghaddam, S.. “Fine-grained opinion mining using conditional random fields”. In Data Mining Workshops (ICDMW), 2011 IEEE 11th International Conference on, pages 109–114. IEEE..
Sint Sint Aung and Myat Su Wai, Domain Independent Feature Extraction Using Rule Based Approach, Advances in Science, Technology and Engineering Systems Journal (ASTESJ)​​, volume 3, issue 1, 2018. Souza M, Vieira R, Busetti D, Chishman R, Alves I, “Construction of a Portuguese Opinion Lexicon from Multiple Resources”, in the proceedings of the 8th Brazilian Symposium in Information and Human Language Technology (STIL’ 2011), 59–66. Springer, pp.411-448, 2007. Maria Pontiki et al. (2016) “Aspect Based Sentiment Analysis”, Association for Computational Linguistics (ACL), San Diego, California, June 16-17, 2016. Saif M. Mohammad. arXiv preprint arXiv, Word Affect Intensities , April 2017. Xu, T. J. Zhao, D. Q. Zheng, S. Y. Wang, “Product features mining based on Conditional Random Fields model”, Proceedings of the 2010 International Conference on Machine Learning and Cybernetics, pp. 3353-3357, 2010. Xu, X., Cheng, X., Tan, S., Liu, Y., and Shen, H. “Aspect-level opinion mining of online reviews”. China Communications, 10(3):25–41. Wu, Q. Zhang, X. Huang, and L. Wu, “Phrase dependency parsing for opinion mining,”. In EMNLP’09, Volume 3-Volume 3, pp. 1533- 1541. Association for Computational Linguistics, 2009. Zheng, L. Ye, G. Wu and X. Li, “Extracting product features from Chinese customer reviews,” Proceedings of 3rd International Conference on Intelligent System and Knowledge Engineering, pp. 285-290, 2008. Zhai, Z., Liu, B., Xu, H., and Jia, P., “Clustering product features for opinion mining”. In Proceedings of the fourth ACM international conference on Web search and data mining, pages 347–354. ACM. Zhang D, Dong H, Yi J, Song L, “Opinion summarization of customer reviews”, In proceedings of the International Conference on Automatic Control and Artificial Intelligence (ACAI 2012), 1476–1479. Zhang, L. and Liu, B. “Aspect and entity extraction for opinion mining”. In Data mining and knowledge discovery for big data, pages 1–40. Springer. Zhang, Y. and Zhu, W. “Extracting implicit features in online customer reviews”, In Proceedings of the 15th ACM international conference on Information and knowledge management, pages 43–50. ACM. Guang Qiu, Bing Liu, Jiajun Bu and Chun Chen. "Opinion Word Expansion and Target Extraction through Double Propagation." Computational Linguistics, March 2011, Vol. 37, No. 1: 9.27. Qian Liu, Zhiqiang Gao, Bing Liu and Yuanlin Zhang. A Logic Programming Approach to Aspect Extraction in Opinion Mining. Proceedings of IEEE/WIC/ACM International Confernece on Web Intelligence (WI-2013), 2013. Qian Liu, Zhiqiang Gao, Bing Liu and Yuanlin Zhang. “Automated Rule Selection for Aspect Extraction in Opinion Mining.” Proceedings of International Joint Conference on Artificial Intelligence (IJCAI-2015), July 25-31, 2015. Yahui Xi (2013), “Extracting Product Features from Chinese Product Reviews”, Journal of Multimedia, 2013. C.J. Hutto and Eric Gilbert, 2014, “VADER: A Parsimonious Rule-Based Model for Sentiment Analysis of Social Media Texts”, Association for the Advancement of Artificial Intelligent AAAI, , 2014. Zhao et al. (2014) “Joint Propagation and Refinement for Mining Opinion Words and Targets”, IEEE Data Mining Workshop, 2014, pp.417-424. Zhiyuan Chen, Arjun Mukherjee, and Bing Liu. Aspect Extraction with Automated Prior Knowledge Learning. Proceedings of the 52nd Annual Meeting of the Association for Computational Linguistics (ACL 2014), June 22-27, Baltimore, USA. Abstract: The use of natural fibers to reinforce soil is an old and ancient idea. Traditional geosynthetics such as geotextile, geogrid etc. have proved to be efficient, and are increasingly used in geotechnical engineering. In contrast, the use of glass fibers in soil needs further investigation. Soil samples were obtained from borrow pits at Ajibode and Chapel both located in the University of Ibadan, Ibadan, Nigeria and stabilized with procured glass fiber at proportions of 0.4%. 0.8%, 1.2%, 1.6%, 2.0%, 2.5% and 3.0% by weight. Tests such as particle size analysis, compaction and California bearing ratio (CBR) were carried out on the unstabilized (control) soil samples. Thereafter, the compaction and CBR tests were carried out on stabilized soil samples. The results showed an improvement in the two soils’ maximum dry density and CBR on addition of the glass fibers. The glass fibers had optimum effect on the soils between 1.2% and 1.6% of soil samples. Therefore, incorporating glass fiber into the soils in the required quantity will enhance soils’ CBR and density. Keywords: Glass Fiber, Soil Stabilization, California Bearing Ratio, Maximum Dry Density, Reinforcement. 1. E. E. Arinze, “Stabilization of laterites with industrial wastes: a recent and comprehensive review,” International Journal of Advancements in Research & Technology, vol. 4, no. 11, 2015, pp. 69 – 87. 2. A. Kumar, and A. K. Singh, “Stabilization of soil using cement kiln dust,” International Journal of Innovative Research in Science, Engineering and Technology, vol. 6, no. 6, 2017, pp. 11632 – 11637. 3. P. Sherwood,. Soil stabilization with cement and lime. State of the Art Review. London: Transport Research Laboratory, HMSO, 1993. 4. C. Rogers, S. Glandinning, and N. Dixon, “Lime Stabilization,” Proceedings Seminar held at Loughborough University on 25 September 1996. Published by Thomas Telford, UK, 1996. 5. H. I. Ling, D. Leshchinsky, and F. Tatsuoka, Reinforced Soil Engineering: Advances in Research and Practice. New York: Marcel Dekker Incorporated, 2003. 6. M. O. Jackson, “The foundation failure in coastal plain sand of Nigeria,” Proceedings, 7th Regional Conference for Africa on Soil Mechanics and Foundation Engineering. Institute of Civil Engineering, Accra, 1980, pp. 425-430. 7. P. A. Vallerga, and N. Rananandana, Characteristics of lateritic soils used in Thailand road construction. Highway Research Record,1969, 284. 8. L. A. Balogun,.”Influence of geological origin on the geotechnical properties of lime stabilized laterites,” Proceeding Conference for Africa SMFE, Harare, 1984, pp. 355 – 362. 9. D. A. Alao, “Geology and engineering properties of lateritic soil from Ilorin, Nigeria,” Engineering Geology, vol. 19, 1983, pp.:111-118. 10. O. Ogunsanwo, “CBR and shear strength of compacted laterite soil from southwestern Nigeria,” Quarterly Journal of Engineering Geology, vol. 22, 1989, pp. 317 - 328. 11. EuroSoilStab. Design guide: soft soil stabilization, 2002, pp. 97-103. 12. A. Maher, T. Bennert, F. Jafari, W. S. Doglas, and N. Gucunski, “Geotechnical Properties of Stabilized Dredged Material from New York-New Jersey Harbour,” Journal of the Transportation Research Board, 2004, pp. 86-96. 13. A. Al-Tabbaa, and W. C. Evans, “Stabilization-solidification treatment and remediation: part 1: binders and technologies-basic principal,” Proceedings International Conference on Stabilization/Solidification Treatment and Remediation, Cambridge, 2005, pp. 367 – 385. 14. R. G. Hicks, Alaska Soil Stabilization Design Guide. Alaska Department of Transportation and Federal Highway Administration Report No. FHWA-AK-RD-01-6B, 2002. 15. R. G. Bhuvaneshwari, S. Robinson, and R. Gandhi, “Stabilization of expansive soils using fly ash,” Fly Ash Utilisation Programme (FAUP) 2005. 16. S. M. Mackiewicz, and E. G. Ferguson, “Stabilization of soil with self-cementing coal ashes,” World of Coal Ash (WOCA), Lexington, Kentucky, USA, 2005. 17. C. S. Fletcher, and W. K. Humphries, “California bearing ratio improvement of remoulded soils by addition of polypropylene fiber reinforcement,” Proceedings, Seventieth Annual Meetings, Transportation Research Board, Washington, 1991, pp. 80-86. 18. J. Prabakar, and R. S. Sridhar, “Effect of random inclusion of sisal fiber on strength behaviour of soil,” Construction and Building Materials, vol. 16, 1996, pp. 123 – 131. 19. S. M. Marandi, M. H. Bagheripour, R. Rahgozar, and H. Zare, “Strength and ductility of randomly distributed palm fibers reinforced silty-sand soils,” American Journal of Applied Sciences, vol. 5, no. 3, 2008, pp. 209 - 220. 20. R. L. Terrel, J. A. Epps, E. J. Barenberg, J. K. Mitchell, and M. R. Thompson, Soil Stabilization in Pavement Structures—A User’s Manual—Vol. 2: Mixture Design Considerations, FHWA-IP-80-2, Federal Highway Administration, Washington, D.C. 1979. 21. H. Maher,.”Behaviour of fiber-reinforced cemented sand under static and cyclic loads,” Geotech Test, vol. 16, 1993, pp. 330 - 338. 22. T. Al-Refeai,. “Behaviour of granular soils reinforced with discrete randomly oriented inclusions,” Geotextile Geomembrane, vol. 10, 1991, pp. 319-333. 23. K. S. Heineck, M. R. Coop, and N. C. Consoli, “Effect of micro-reinforcement of soils from very small to large shear strains,” Jour. Geotech. Geoenviron. Eng. Vol. 131, no. 8, 2005, pp.1024 - 1033. 24. N. C. Consoli, K. S. Heineck, M. D. T. Casagrande, and M. R. Coop, “Shear strength behavior of fiber-reinforced sand considering triaxial tests under distinct stress paths,”.Journal Geotech. Geoenviron. Eng., vol. 133, no. 11, 2007, pp. 1466 - 1469. 25. J. Liu, G. Wang, T. Kamai, F. Zhang, J. Yang, and B. Shi, “Static liquefaction behavior of saturated fiber-reinforced sand in undrained ring-shear tests” Geotext. Geomembr. vol. 29, no. 5, 2011, pp. 462 - 471. 26. F. Ahmad, D. Mujah, H. Hazarika, and A. Safari, “Assessing the potential reuse of recycled glass fiber in problematic soil applications,” Journal of Cleaner Production, vol. 35, 2012, pp. 102-107. 27. BS 1377, Method of test for soils for civil engineering purposes, London British Standard Institute, 1990. Abstract: The study investigated the suitability of oyster shell ash activated with cement as additive to improve soil geotechnical properties. Three Lateritic soil samples were collected and stabilized with varying percentages of oyster shell ash (OYSA) from 2% - 15% activated with 5 % cement by dry weight. The mixtures’ geotechnical properties: Atterberg limit, specific gravity, California bearing ratio (CBR) and shear strength parameters (cohesion and angle of friction) were determined. Chemical analysis of the oyster shell ash was carried out in laboratory. Results showed that the OYSA is rich in calcium and silicon oxides (CaO and SiO2) with other oxides. OYSA addition led to increase in specific gravity (2.42 to 2.43 sample 1; 2.24 to 2.50 sample 2 and 2.25 - 2.28 sample 3) , improvement in Atterberg’s limit through decrease in the plasticity index, increase in the CBR (22.5% - 145% sample 1, 0.54% - 30.78% sample 2 and 1.56% - 54.54% sample 3) and improvement of cohesive shear strength property (50 - 65kN/m2 sample 1, 20 - 21 kN/m2 sample 2, and 42 – 78 kN/m2 sample 3) ) due to the formation of cementitious layer and alteration in the structure and grain composition of soil samples. Therefore, using 6% OYSA activated with 5% cement will enhance soil geotechnical properties. 1. T. W. Kennedy, R. Smith, R. J. Holmgreen Jr, and M. Tahmoressi, “An evaluation of lime and Cement Stabilization,” Transportation Research Record, vol.119, 1987, pp. 11 - 25. 2. N. C. Consoli, L. L. Lopes, and K. H. Heineck, “Key parameters for the control of lime stabilized soils,” Journal of Materials in Civil Engineering, vol. 21, no. 5, 2009, pp. 210- 216. 3. J. H. Jung, Y. S. Lee, K. S. Yoo, H. K. Lee, K. J. Oh, and G. H. Shon, Reactivity of bio-sorbent prepared by waste shells of shellfish in acid gas cleaning. Korean Journal of Chemical Engineering, vol. 22, no. 5, 2005, pp. 266 – 268. 4. J. H. Jung, K. S. Yoon, H. G. Kim, H. K. Lee, and B. H. Shon, “Reuse of waste oyster shells as a SO2/NOX removal absorbent,”Journal of Industrial and Engineering Chemistry, vol.13, no. 8, 2007, pp. 512-517. 5. G. L. Yoon, B. T. Kim, B. O. Kim, and Han, “Chemical-mechanical characteristics of crushed oyster-shell,” Waste Management, vol. 23, no. 9, 2003, pp. 825–834. 7. BS 1377, Method of Test for Soils for Civil Engineering Purposes. British Standard Institute, 1990. 8. C. A. O’Flaherty, Highways: the location, design and maintenance of road pavements. 4th ed., Butterworth Heinemann. Oxford: Jordan Hill Oxford, 2002. 9. O. O. Amu, S. A. Ogunniyi, and O. O. Oladeji “The suitability and lime stabilization requirement of some lateritic soil samples as pavement,” International Journal of Pure and Applied Sciences and Technology, vol. 2, no. 1, 2011, pp. 29-46. 10. G. O. Rowlands, M. Arabi, and R. Delpak, “Lime and the plasticity of clays,” The Journal of the Institution of Highways and Transportation, vol. 34, 1987, pp. 21-24. 11. W. H. Park, and C. Polprasert, “Phosphorus adsorption characteristics of oyster shells and alum sludge and their application for nutrient control in constructed wetland system,” J. Environ. Sci. Health, vol. 43, no. 5, 2008, pp. 511 – 517. 12. S. J. Poulos, Liquefaction related phenomena Advanced Dam Engineering for Design, Van Nostrand Reinhold pub., 1989, 292-320. Abstract: In this paper a model to control the vehicle via hand gesture using accelerometer is presented. Accelerometer is a three axis device which is mounted on the human hand in order to perform the movement of the vehicle as per the actions performed by the human hand .The signal transmission from transmitter to receiver is done by zigbee technology. The microcontroller used is a ATmega328 microcontroller, it is programmed to take analog reading as input from accelerometer and to transmit the signal at the receiving end of the robotic arm.The DCmotor are used to achieve the movement of the vehicle. The main aim is to control the robotic arm via human gesture in a wired fashion with ease in motion over a given range. It consists of mainly two parts, one is transmitter part and another is receiver part. The transmitter will transmit the signal according to the position of accelerometer and your hand gesture and the receiver will receive the signal and make the vehicle move in respective direction. Here, the program is designed by using Arduino UNO. Keywords: MCU, Gesture, Accelerometer, DC Motor, Aurduino UNO, Zigbee. 1. Aditya Purkayastha, Akhil Devi, Arunav Bora, Akshaykumar, Pankaj“Hand Gestures Controlled Robotic Arm”, Journal of International Academic Research For Multidisciplinary, Vol-2, Issue-4, PP.-234240, May 2014. 2. Aggarwal, Varnika Gaur, PuneetVerma,“Design and Implementation of Wireless Gesture Controlled Robotic Arm with Vision”, International Journal of Computer Application, Vol-79, No.-13, PP.-3943, October 2013. 7. Aswath S, Chinmaya Krishna Tilak, Amal Suresh and GaneshaUdupa, “Human Gesture Recognition for Real-Time Control of Humanoid Robot”, International Journal of Advances in Mechanical and Automobile Engineering (IJAMAE), Vol- 1, Issue 1, PP.96-100, (2014). 8. Shruthi B. N, Shivraj, Sumathi S, “Hand Gesture Based Direction Control of Robocar using Arduino Microcontroller”, International Journal of Recent Technology and Engineering(IJRTE), Volume-3, Issue-3,PP.-32-35, July 2014. 9. Vicky Somkuwar, RoshanGabhane, Sandeepkakde, “Design and Implementation of Gesture Controlled Robot using Flex sensor and Accelerometer”. 10. GauravGautam, AbhijeetAshish, Anil Kumar, Avdesh, “Wirelessly Hand Glove Operated Robot”, International Journal of AdvancedResearch in Electronics and Communication Engineering (IJARECE), Volume-3, Issue-11,PP.-1546-1547, November 2014. 11. Harish Kumar Kaura, VipulHonrao, SayaliPatil, PravishShetty, “Gesture Controlled Robot using Image Processing”, International Journal of AdvancedResearch in Artificial Intelligence (IJARECE), PP.-69-77, Vol-2, No.-5. 12. Aditya Purkayastha, Akhil Devi Prasad, Arunav Bora, Akshaykumar Gupta, Pankaj Singh, “Hand Gestures Controlled Robotic Arm”, Journal of International Academic Research For Multidisciplinary, Vol-2, Issue-4, PP.-234-240, May 2014.